Mankind has been trying to care for an prolong the life of the human body since before recorded time. The long history of medicine dates to Egyptian times, where we find the first system of medicine which included diagnosis, prognosis and treatment. This was the first known application of what we now call the scientific method, one requirement of which is that whatever is found to be true, must be repeatable by experiment and consistently true each time. The Greeks around 300 AD established the first examination of the ethics of medicine. 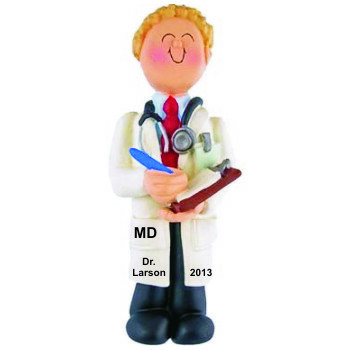 They developed the Hippocratic Oath, and promise, amongst other things to do no harm, which is still taken by medical school graduates today. 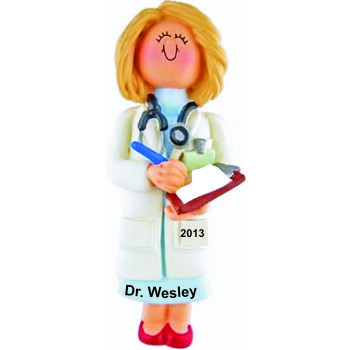 In honor of their dedication to our health and quality of life, we offer our personalized doctor ornaments. 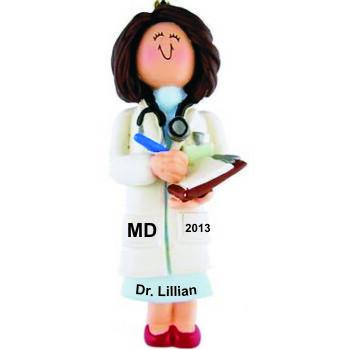 You'll find male and female doctor ornaments in both brunette and blond hair styles. 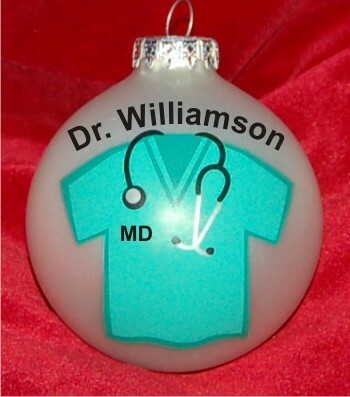 We also offer several blown glass doctor Christmas ornaments. Each of our doctor tree ornaments arrives in our classic black velvet bag, ready to make a thoughtful and fun doctor gift. 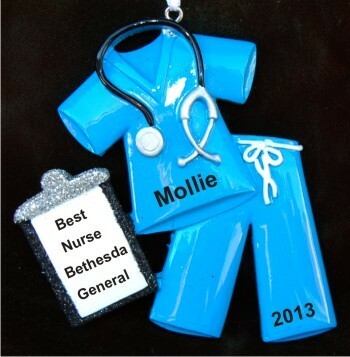 We're often asked for medical graduation and other doctor ornaments in bulk or at cheap prices. We're happy to assist you. We offer bulk pricing beginning at 12 ornaments, and you can mix and match the styles to suit your needs. You can choose to personalize each ornament individually per recipient, or you can personalize all of the ornaments the same way, for example a degree earned, a job well done, or the name of your practice. 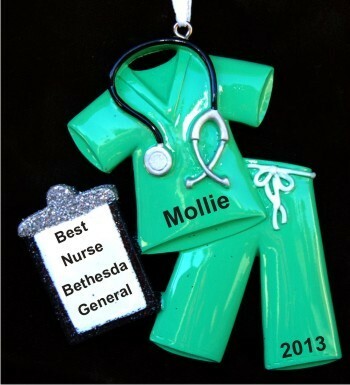 Click on the Contact Us link below if you're needing to order MD or doctor ornaments in bulk for staff, personnel, students or as office party favors. We're happy to put together a custom doctor ornament package for your exact needs.